Well this game is a mixture concerning trophies. If you are looking for easy trophies then go somewhere else but if for attainable trophies, this game has them. A lot of them! The trophies can get very challenging and the online ones only get annoying because most of the time people quit before the win. Also SEGA has made the trophies harder than they should be by the game being very glitchy. The patch may have disabled some trophies as people have been finding difficulty trying to achieve some of them now. Overall this game is fun and is one for the some. It has repetiveness but it is what you would expect from a sport game. If you want the game for the game itself and have no intention of collecting trophies than this really isn’t a step up from Virtua Tennis 3 and basically plays the same. If you haven’t then I’d suggest finishing up all the academy missions but if you havent recieved the trophy but have completed all challenge when your still amateur, don’t be alarmed there is more academy missions to come when you turn proffesional. 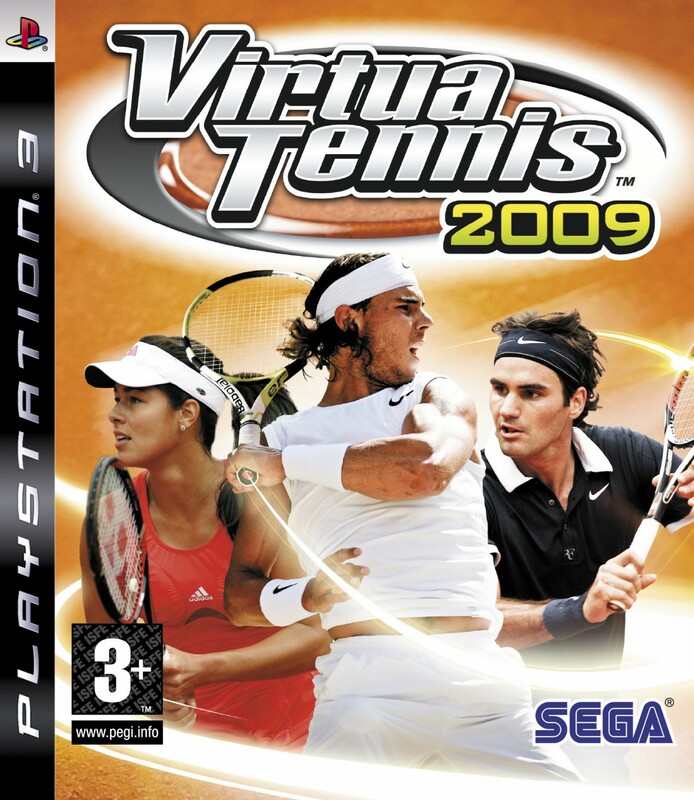 There is quite a huge amount of online wins needed and they can be quite hard to do seeing as most players can match your every move if this is your first Virtua Tennis game. Collect all other trophies including the Gold Medalist trophy. You can look at what you need in My VT.
– Many people have said that once in the Pro part, if you get to Rank 147 then you may not be able to move places any more. To save you restarting for trophies regarding becoming number 1 in pro and winning the King of a Players tournament trophy then turn auto save off beforehand and manually save if you go past it then you can turn it on again. -On the 360 it has been said that the Sponsorship Lvl 6 match doesnt show up and instead its a practice match. If anyone can confirm this is happened to them then inform me. -The ‘To Look This Good Takes SEGA‘ trophy is also bugged for some. Even wearing the costume and playing loads of matches, the trophy doesn’t pop up. If you are one of these people, just delete the last patch via the Game Data Utility on the XMB and then try. People have confirmed that before the patch they were able to get this trophy. -The trophies ‘Shopaholic’ or ‘Access all Area’can also be missed because you need a lot of money and if you buy the court passes you may not be able to buy 100 items. Just be wary of spending money. I.e don’t take energy drinks or vacations when really you don’t need to. For more information look at the guide’s specific on the trophies. –‘Leader of the Pack’ is the last missable trophy as you have a chance to turn pro before you rank #1 in amateur. Just ignore it and carry on until you are ranked #1 and then move on. Easier than it seems as most hits will be aimed towards the conveniantly placed line judges. You will achieve this one no problem and will get within 3 games. This is better played with two controllers. When serving press Down on the left stick and Triangle then before the player hits it quicky press Up on the left stick so it goes over the line. Another easy one. You do not have to win the tournament you just have to play and win the first match within it. The AI at this stage is stupid and can be outsmarted without much thought. Again, another quick and easy trophy. You would of most likely entered both doubles and singles. Doubles is only two matches to win the tournament and singles is 3 but both are as easy as each other in this time of the WT. At certain times players would ask you to play a Practice Match with you at a certain date. Just play that match and then you will be able to play doubles with them. Just do this for 8 people. Sometimes they will co-incide with tournaments so it’s your choice as to what one you will go for. Do what the title says just don’t play in World Tour as they will not count. If your playing a match each match against someone counts. So if your playing a 3/5 set match it won’t count as 3/5 events, just one. Best to do on the mini-games. You will get this during World Tour if that’s what you started first becuase most players on the AI are dumb when you start so can easily be beaten. Most matches consist of 2 games. Just don’t let them score any points. If you are struggling with this play a match as Andy Roddick as he has good serves and hit a MAX serve and it should be over 200kph, otherwise just train in the mini-games on WT and become a better server. Hit 3 MAX serves 1 after the other and this will pop up. I found it easier just playing and not trying to go for it as it will most likely just happen. Get the right timing and hope for the best is all I can see. This is when the ball is dropping from a hieght towards you but you can put enough power on so that the opposing player misses because of the strength of it. If you want this can be done with a second player along with the other ones. Just get the second player to lob and you quickly line yourself up and get power on the hit. For this you have to press Triange. I just hit lightly or do drop shots, underarm serves so that the AI has to move close to the net. From this posistion they are less likely to hit a hard shot so you should have enough time to get to the ball and hit it over with them unable to hit back. This can be done with 2 players. When the opponent is close to the baseline (the furthest away line from you), then hit a drop shot. To do this press Circe for a slice and then Downwards on the analogue stick. You will either get lucky or the AI will hit it back just hope for the best. This can be done with 2 players. Whilst advancing through the proffesional ranks in WT, you’ll eventually get asked to play the Fed/Davis cup for the country of your choice. Easy done, you don’t have to win the cups for this trophy. This again is simply done. Just look for Practice match on the globe when nothing else is going on and play against one of your friends. Just play a training game until you complete level 8, they’re not that difficult. The easiest one that I found to do was the Shopping Dash one. Just play them all. More are unlocked when you reach Pro. For all of this you will unlock Tim Henman. It doesn’t have to be a Gold Medal and you can pass them all on a Bronze, but I’d advise if you were to pass them all on a Gold for the other trophy. For this go into World Tour and look for the icon which says Online HQ. Play 10 ranked games and the trophies yours. You musn’t quit or the opponent musn’t quit for the game to count. Both Singles and Doubles games are okay to play. From the main menu go into Network and search or create a game. Play 10 full games without you or the other person quiting for the trophy to pop up. Doubles and Singles are both okay. Can only be done in Play mode. All the advice I can give is to play until it comes and aim for the bigger blocks as they help towards the combo. This mini-game trophy can only be done in World Tour. The animals that you need to feed are. People say you get this by level 5, but I didnt see the Girrafe till level 6. This can only be done in Play mode. The galleons come around 4000-5000 points in and can blast you with 3 balls at a time. Choose a fast runner like Nadal to help achieve this trophy. This can only be done in Play mode. Try to not get hit by the giant tennis balls so use Nadal again as he is a fast runner. You have to keep your stamina high so try to collect the higher point fruits and not always the apples. Can only be done in Play Mode. Use Roddick as he has the best serve. For the break start where you are put and try and get the serve as high powered as possible. Practice and you will get better and know what to do. This can only be done in World Tour. Practice again and try to get better. It will come with practice but make sure you get the 3 strikes in a row otherwise it will not count. This will come when going for other trophies. The least played on court. You should get this way into Proffesional part of the World Tour. If you complete the WT without getting this trophy, finish up on Play Mode. This should come naturally playing through the WT. You will most likely get this right before you turn pro in WT. You get this outfit after becoming the Pro number 1. People say that after the latest patch it has became glitched so you may have to delete the latest patch to earn this. When your in Pro mode right at the top, you will get a message saying about a tournament(King of Players Tournament). Win the tournament and beat King to unlock him. When your in Pro mode right at the top, you will get a message saying about a tournament(King of Players Tournament). Win the tournament and beat Duke to unlock him. You can look at the Medals in My VT within the main menu. Not all Medals, as some are bronze and silver but eventually they will help earn a gold. So you have to play and earn all Medals in the game. For this you may need boosting or someone to help you out. Also I’d suggest winning 100 Ranked Matches and 75 Online Tour Events whilst still in amateur as you will face people who are either Rookies or at the same level as you, which is a lot easier. You earn the skeleton clothes after beating lvl 8 of Meat Defender. Just play it once more wearing these clothes to earn the trophy. Not only do you have to unlock it, you also need to purchase it. These are the 27. To unlock Prague you need to win the King of Players Tournament. For this one you need to unlock every single playing style. To check which ones are needed go to the training academy. Also note that some playing styles are not able to unlock until you have reached Proffesional status. The quickest way is to play training matches rather than the mini-games because the mini-games don’t really give much gain as well as the mini-games only going towards one section, playing a training game can help to all 3 at once. Instead of going Pro straight away, rank up to #1 in amateur, then go and become a pro player. This trophy can be missed! You will get the change to go pro before you get this trophy so just ignore the chance and carry on until you are ranked #1 in the amateur rankings. Then you may advance into the Pro part of the WT. You get the chance when you are in the Pro part of the WT. Win either one to gain the trophy, but for the Gold Medalist trophy you need to win a few more afterwards. In the Pro ranking in WT, rank up and play tournaments until you reach this placing. Should take around 20 hours from start of Pro to here. You may get stuck at rank 147 (I think), which may stop you from getting this trophy. Turn autosave off here and save before you get to this ranking to make sure you can go back if it does glitch on you. Simple enough. Go to the Tennis Academy and play all the challenges. More challenges are unlocked when you become pro. Get gold on all 30 and you will earn this trophy. Some may require a few attempts to earn the gold medal.